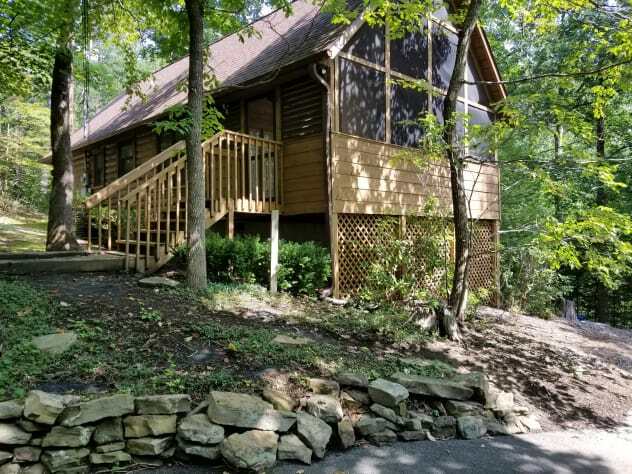 Miss BeeHaven is a one level, one bedroom luxury cabin located on Hidden Mountain. 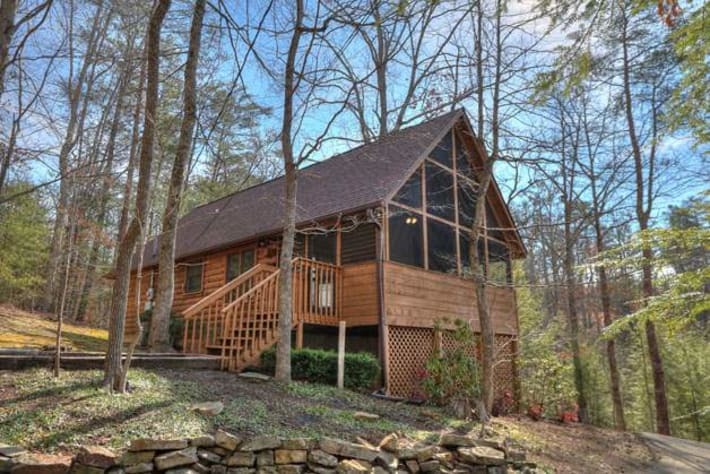 The drive to this beautiful cabin has the feel you are in the Smoky Mountains. 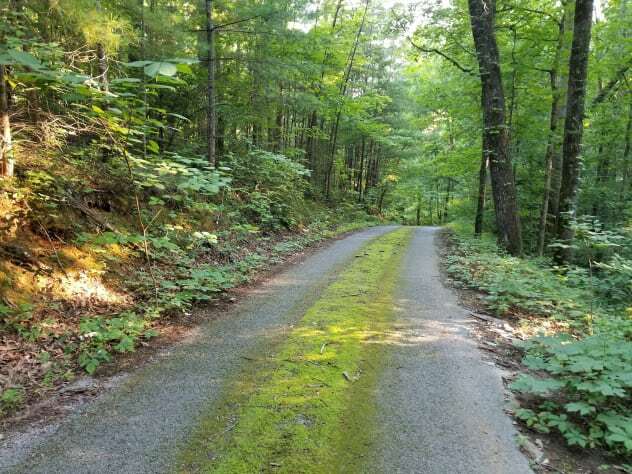 The drive to the cabin is all paved. 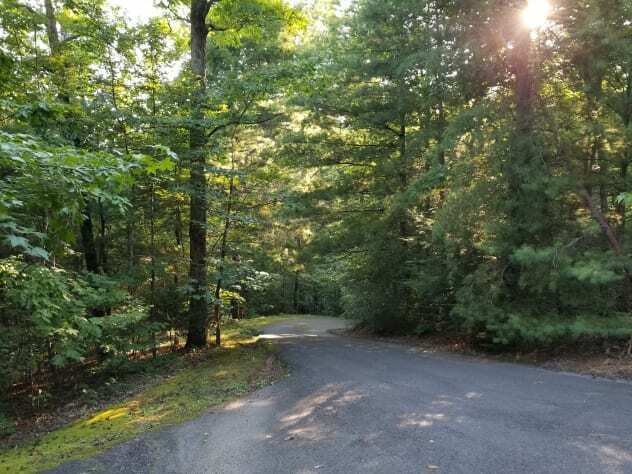 The driveway is also paved and well maintained. 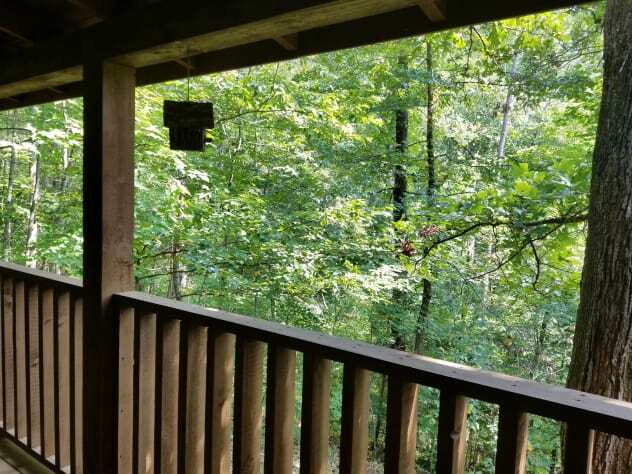 Miss BeeHaven is tucked away in a wooded setting for your privacy and with a mountain view in the winter months. 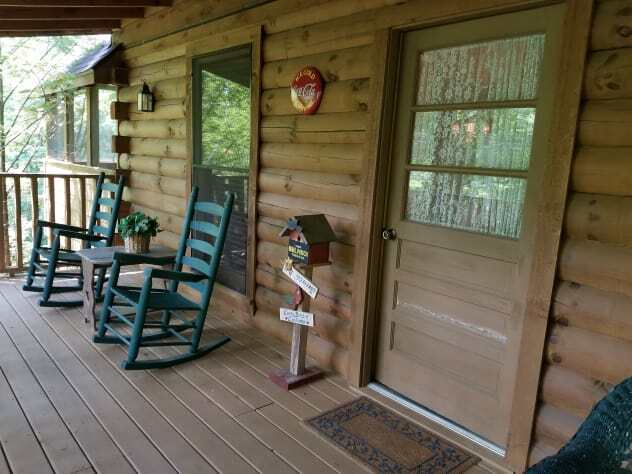 The cabin has two large decks to enjoy a good book or to relax and enjoy the sounds of the wildlife in the area. 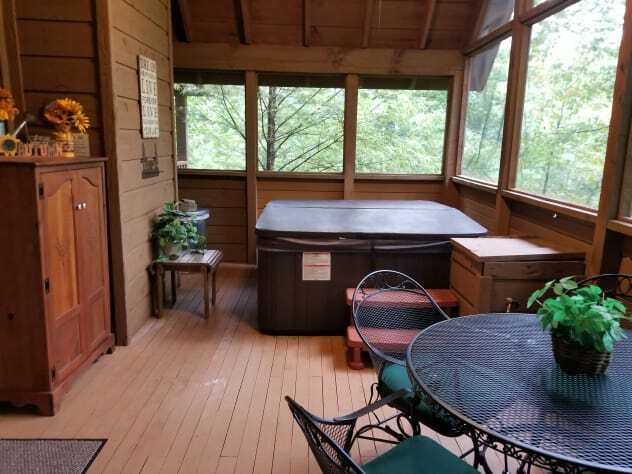 Swing awhile on the porch swing or just soak in the new hot tub. 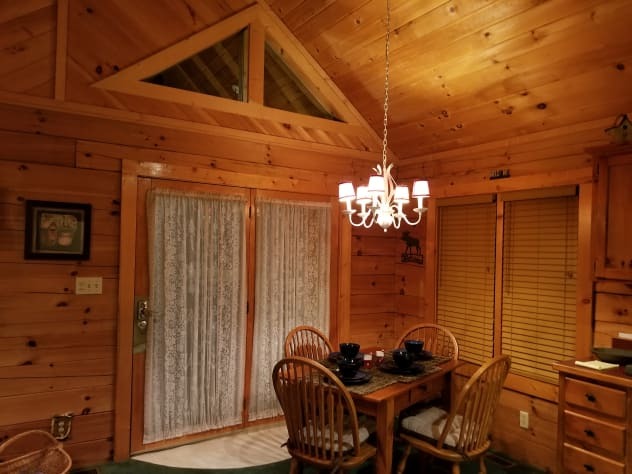 A romantic cabin perfect for a memorable honeymoon, special anniversary, birthday, or vacation getaway you’ve been dreaming of. 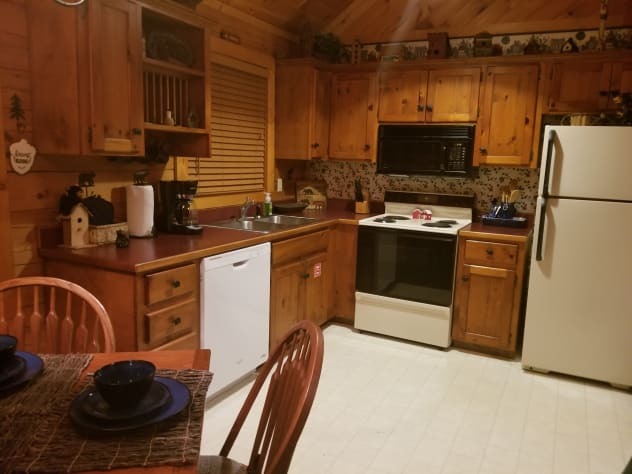 Miss BeeHaven has a fully equipped and up to date kitchen where you can create your meals at home if you decide you can't leave this sweet cabin. 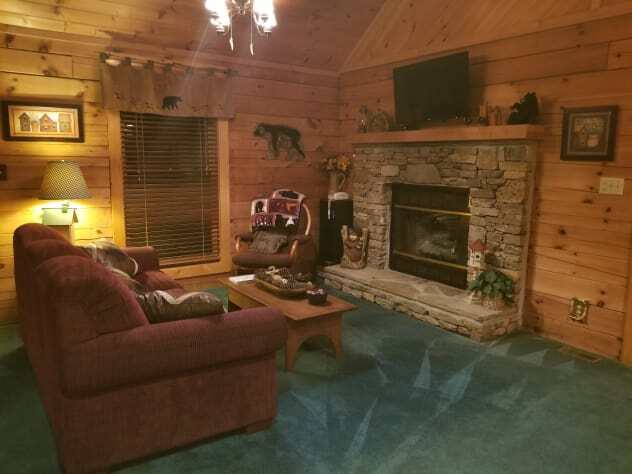 Vaulted ceiling in the living area with a beautiful gas rock fireplace and sleeper sofa for the kids if you want to bring them along. 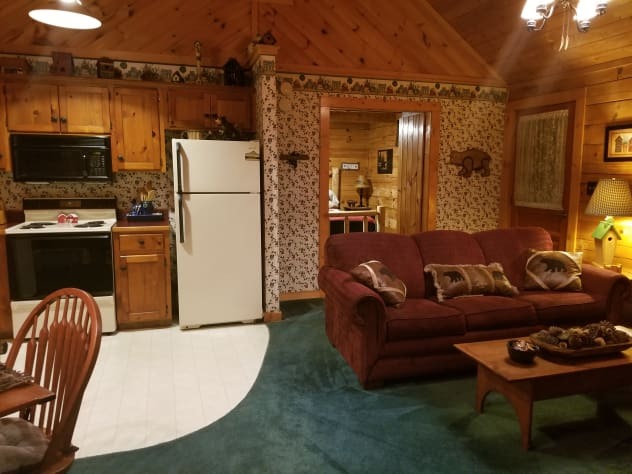 The cabin has an HD flat screen television with DVD, internet and long distance phone service for you to keep in touch with the world. 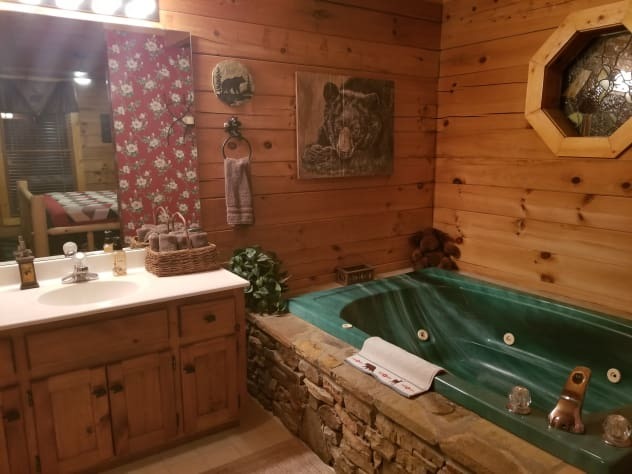 The bedroom has a king sized log bed with an oversized Jacuzzi tub big enough two. 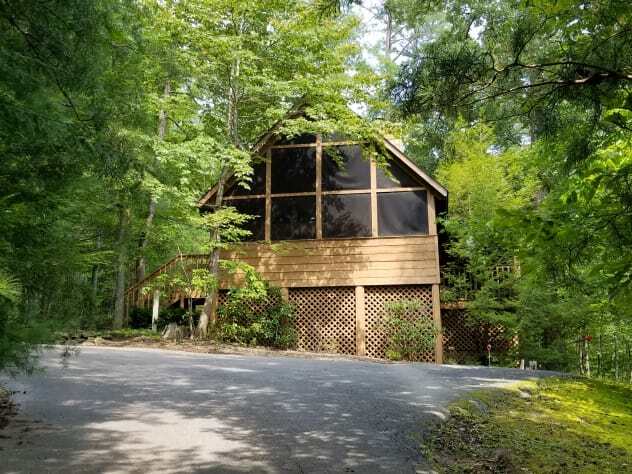 Miss BeeHaven is a perfect place to and reconnect with the one you love. 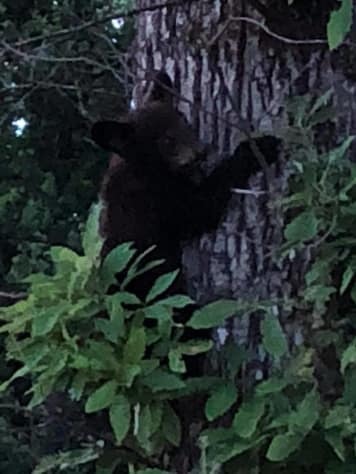 If this property is booked for your requested dates, please check our other properties on VRBO.com "HONEY HIVE" VRBO property # 506890, 'BEARLY BEEHAVEN' VRBO property # 623536 and 'TOGETHER FOREVER' VRBO property # 914912. Come see what all the 5 star reviews are all about on all of our sister properties. Very secluded and quiet get-a-way. 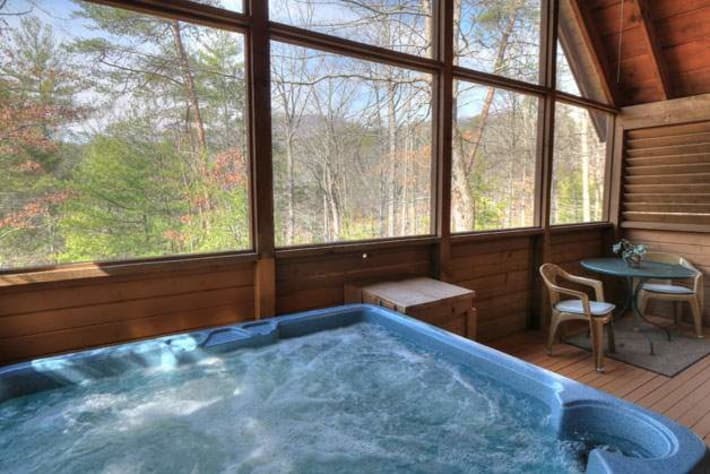 Perfect for newlyweds or a romantic vacation. Mickey and Tonjia go out of their way to make everything perfect. 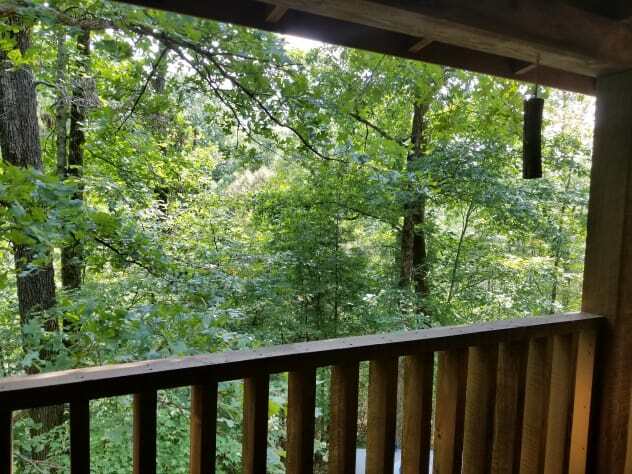 10 minuites from Kroger but so peaceful and secluded. Made for a great 40th anniversary celebration. Clean and well stocked. 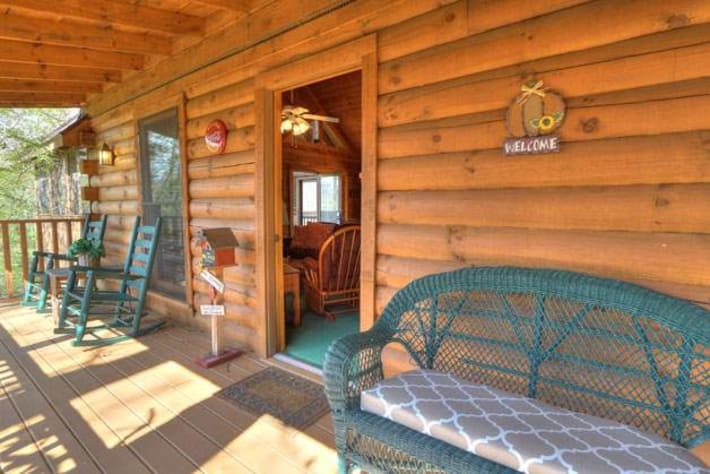 Miss Beehaven was the best cabin we have ever stayed in. 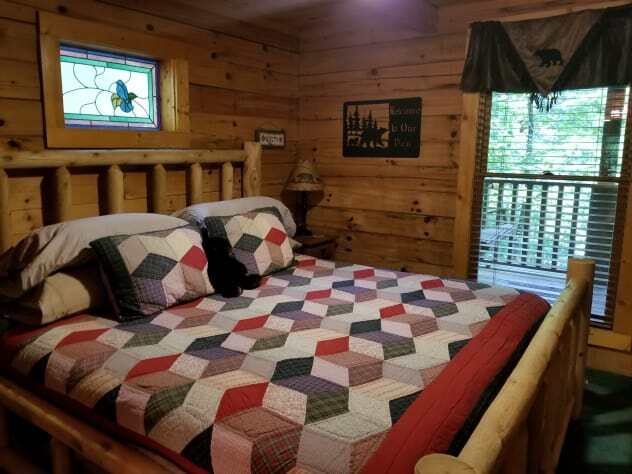 The cabin was well equipped and stocked with all the amenities of home. 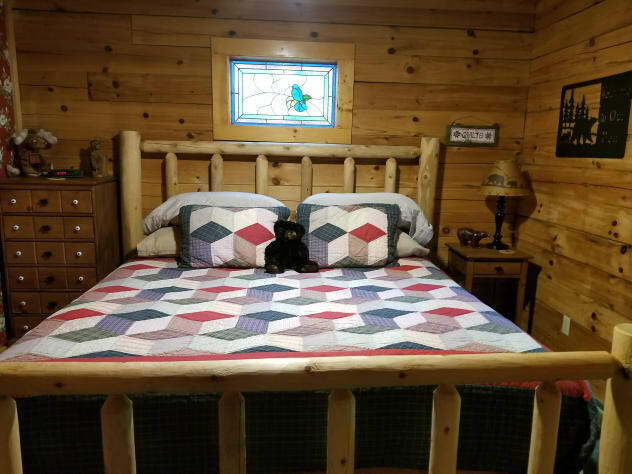 Mickey and Tonjia was perfect to work with and we will definitely stay here again and will recommend this cabin to all family and friends. Thank you for a perfect stay. 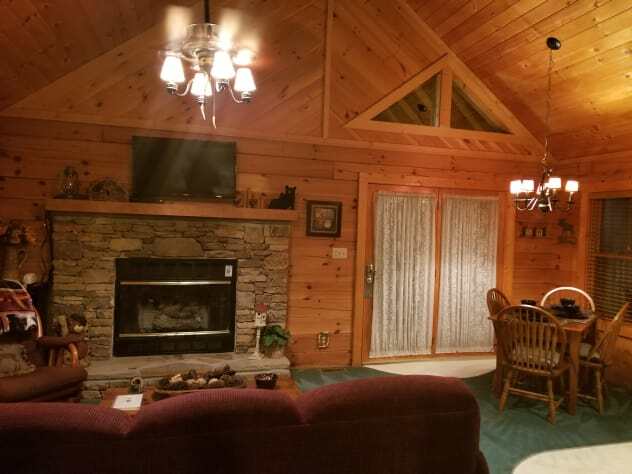 WOW..what a beautiful and secluded cabin. 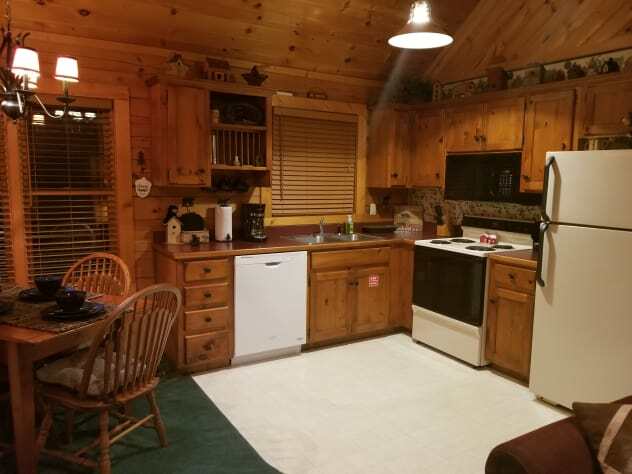 The cabin is well stocked and very clean. Miss BeeHaven is close to the activities of town but, far enough out for privacy. 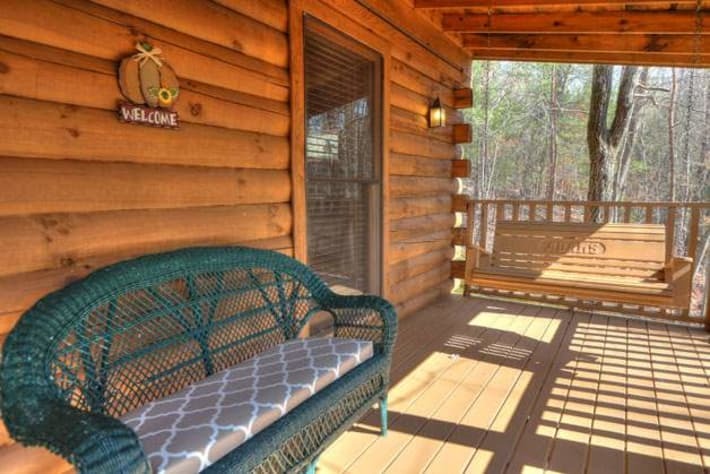 The owners are AMAZING and we would refer this cabin to couples and small families. 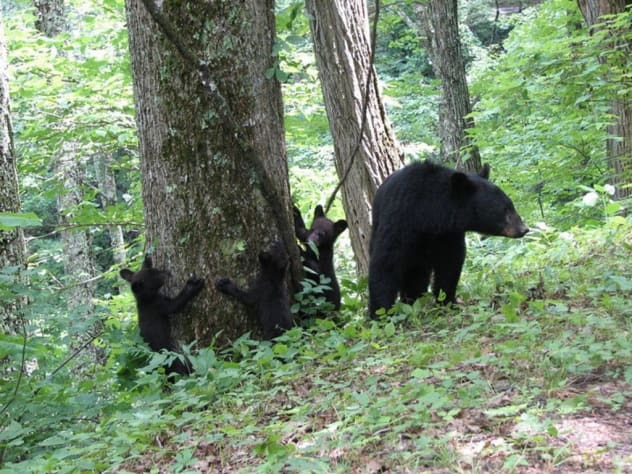 We will be back to enjoy this beautiful place in the Smokies.